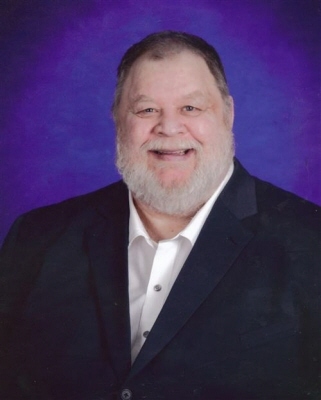 Gary Douglas Costello, 69, passed into eternal heaven at Hospice of Southern KY in Bowling Green, KY, on November 25, 2018. He battled serious health issues for several years, but continued to amaze his family with his resilience to live. Now his suffering is over; he has a new body with no more pain. Gary will be remembered as a faithful Christian man who fiercely loved his family, loved to sing, listen to Rock ‘n Roll (Rolling Stones), and watch Kentucky Wildcats basketball. A witty guy who loved to play pranks; his grandchildren called him, “Pop”. Gary accepted Jesus Christ as his Savior at the age of 13. He was a member of Mt. Pleasant Baptist Church in Lewisburg, Kentucky, where he took great joy in teaching Children’s Church and Sunday School. He proudly served his country as a Drill Sargent Marine during the Vietnam War, earning a Meritorious Mast. Gary was a Master Stone Mason for nearly 50 years where he honed his craft and artistry; teaching the next generation his techniques. He was the owner of Costello Stonework until his retirement in 2009. He leaves behind a loving family, and wife of 40 years, Vickie Laster Costello, Lewisburg; son, Keith (Amber Hoots), and grandchildren, Austin, Keira & Kadyn of Auburn; son, Matt (Amanda Lee) and grandsons, Trey & Deacon, of Russellville; daughter, Lindsay Pendleton (Kyle) and granddaughters, Sydney & Sadie, of Auburn; brothers, Billy (Nancy) of Russellville, and David (Brenda) of Manchester, TN; aunt, Carol McEndre of Russellville; along with fourteen nieces and nephews. Born May 26, 1949, in Russellville, Kentucky, he was preceded in death by his parents, Doug Costello of Russellville, and Elsie Vaughn Costello of Lewisburg; brother, Bobby Costello, and grandsons, Trenton & Ethan Costello, all of Adairville. Visitation will be at Mt. Pleasant Baptist Church on November 29th, from 5:00 – 8:00 p.m. A celebration of his life will be held at 11:00 a.m. on Friday, November 30th, at Mt. Pleasant Baptist Church with visitation from 10:00 – 11:00. Officiators are Bro. Ronnie Forrest, Bro. Tim Nugent, and David Costello; Matt Costello to give the eulogy. In lieu of flowers donations may be made to Mt. Pleasant Baptist Church. A special thanks to the Veteran’s Administration, EMT’s of Logan County, Lewisburg Fire Department, Hospice of Southern KY, Amedesyst, and Home Health Care for their dedicated care. To plant a tree in memory of Gary Douglas Costello, please visit our Tribute Store. "Email Address" would like to share the life celebration of Gary Douglas Costello. Click on the "link" to go to share a favorite memory or leave a condolence message for the family.